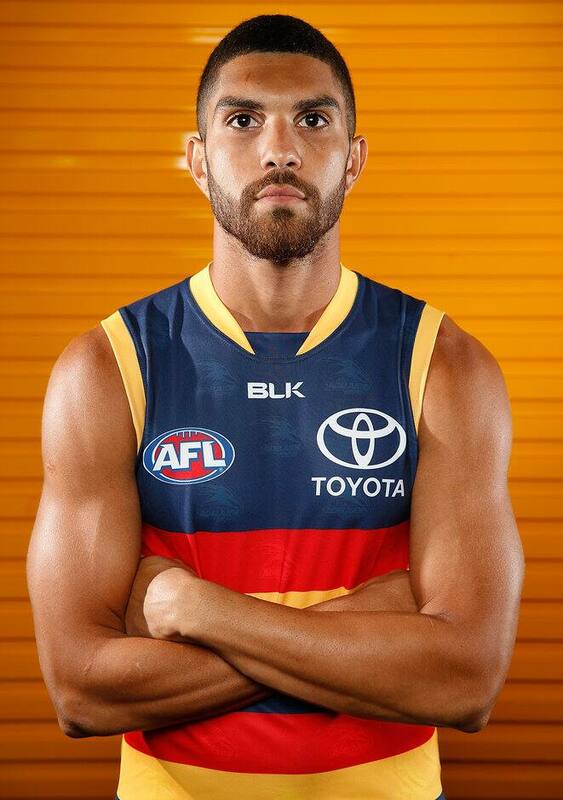 ADELAIDE defender Curtly Hampton is intent on reinventing himself as a well-rounded midfielder. Known as a running halfback during his 51 games in four seasons with Greater Western Sydney, the 23-year-old told AFL.com.au he is determined to prove he can be a key contributor for the Crows. "I feel I can play my best footy through the midfield, just with the way I can move around in traffic and use my kick and break the lines from there," Hampton said. "I feel like in the backline I can feel a bit wasted at times. "I spoke to the coaches and they said they would give me a chance, so Pykey (Adelaide coach Don Pyke) has stuck to his word. "I'm with the midfield at the moment, so I've got to show them now." Hampton is almost the forgotten man at the Crows. After joining the club during the 2015 NAB AFL Trade Period on a three-year deal, Hampton sustained a stress reaction in his foot the week before the club's final NAB Challenge game, which forced him to miss three months of football. He debuted for Adelaide's state league team in the SANFL in July, going on to play 10 games with a little bit of time in the midfield at the end of the season. "The last two or three games, I had five minute spurts there each quarter and showed a little bit I think to the coaches of what I could do," he said. "It was good for them to see what I can do in the midfield and I think that made them think we'll give him a chance." In order to increase his running capacity, Hampton returned to training with the club's first to fourth year players on November 21. He stopped the clock in 6 minutes, 50 seconds for the 2km time trial on the opening day of pre-season training and is confident of slicing at least five seconds off that time when the full squad returns on Monday. "I've got the skill and that, but it's just the running to be able to go into the midfield and last four quarters is what I need," Hampton said. "I feel I can win the hard ball and break away from the packs with my speed. "I feel that's one of my strengths – the inside stuff and the tackling, the repeated effort stuff. "The Crows haven't been able to see that yet, but I know it's something I've got." Spots in Adelaide's midfield are up for grabs after Jarryd Lyons secured a trade to Gold Coast. Hampton, Cam Ellis-Yolmen, Riley Knight and Harrison Wigg are among those eager to seize their chance, while draftees Jordan Gallucci and Myles Poholke arrive at the club with plenty of promise. The Crows are pretty well off for rebounding defenders with Rory Laird and Brodie Smith providing plenty of run and carry out of the backline. Hampton is comfortable playing across half-forward when he needs to spend time out of the midfield.